You are sure to enjoy the fact that nothing is far away in our city. Here you can find out more about getting from A to B in Basel – whether on foot, by tram or bus, or with a taxi. Thanks to its manageable size, the city of Basel is easy to explore on foot. You can find your way around using the grey information boards at all the key locations of the city centre. From the Münsterplatz to Binningen or from Muttenz to the airport, the Catch Car accompanies you through Basel and offers you a spontaneous and comfortable alternative to drive through Basel. You don’t have to worry about gas, parking or insurance. Get in and start driving! There are taxi ranks dotted throughout the city centre. There are a number of taxi firms to choose from and as a visitor you are free to choose whichever you prefer. Pro Infirmis, the organisation for disabled persons, has issued a Basel city map for wheelchair users, containing comprehensive information on mobility in Basel. If you arrive in Basel by train, you can obtain tips and information at the railway station. Your personal guest card will be handed to you when you check in. 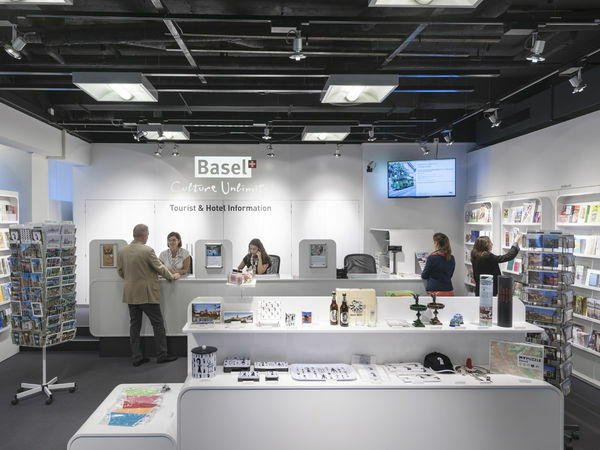 The attractive features of the BaselCard include free use of public transport, free surfing on the guest WiFi plus a 50% discount on admission to Basel’s museums, Basel Zoo, Theater Basel and much more.